Bronze, Silver and Gold, which are full of family fun! So take a look below at the show options that best suits your needs. 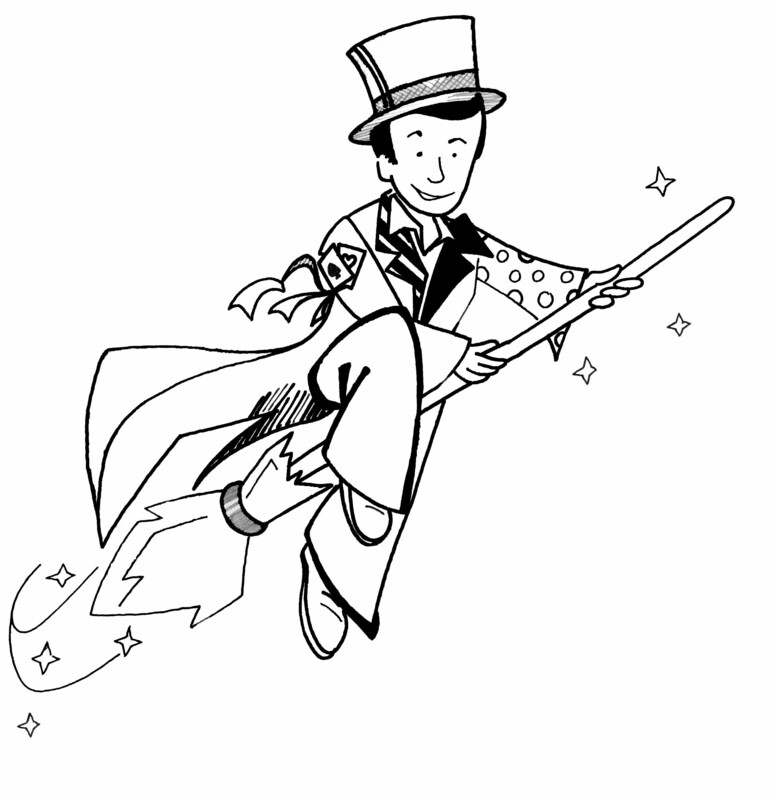 Then click on the enquiry button to see if Wizzo the Wizard & Bakewell the Dragon are available for your event! 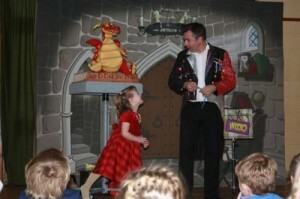 This BRONZE SHOW OPTION is a 45 minute Magic Show which has been created to make the Children have fun and laughter. Wizzo the Wizard & Bakewell the Dragon, with the help of the birthday child conjure up a real treat for the whole audience with a wave of the Magic Wand the Birthday child makes the Magic happen for everyone! After all they are the star of the show! The whole audience is entertained from start to finish with engaging magic tricks, Mr Rocco the raccoon & Bakewell the dragon** Wizzo the wizard will have all of the children laughing and joining in, making the day truly magical! At the end of the show everyone collects their goodies Magic goodies for the birthday child. The Birthday Child gets to take home some really cool Magical goodies. 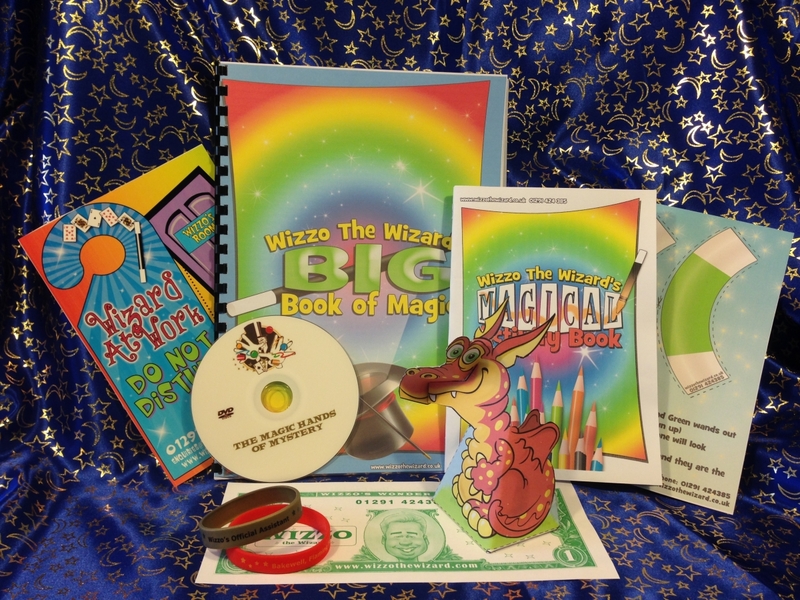 Wizzo’s Magical Activity Pack are available for only £2.00 per pack. No need to spend hours putting party bags together, as Wizzo’s done all of the hard work for you! 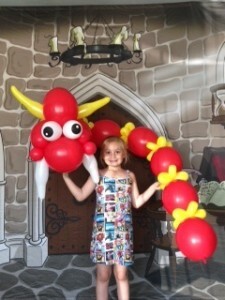 A really Big balloon Model which really stands out! Now that’s what I call a Balloon Animal. The GOLD SHOW OPTION is an hour and half of non stop Magic & Games! for the ones that really like to party!!! Fast paced games (no elimination games) involving the children which will get them into the party mood for sure. With no time to stop, it’s straight on with the magic show with Bakewell the Dragon and Wizzo the Wizard. The birthday child receives all of these fantastic goodies just for them. Now that you’ve read through the Show Options above click here to book your party now, or call 01291 424384 or 07748772686 **Bakewell the dragon is only available when the party is held in a hall due to size/space requirements.Please check with Wizzo to see if Bakewell is available to attend your party! Who is Bakewell the Dragon? Click here to find out more about Wizzo’s loveable friend.